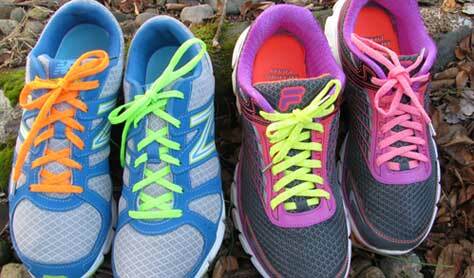 Shoelaces? Yes! Made from the quality, colorful Kreinik threads you use for stitching. This project of love comes from the Kreinik family, made to honor their son Charles who passed away in 2015. 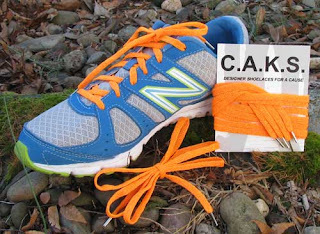 Charles loved colorful shoelaces, and this line was created so people of all ages could step out in fun, brighten their corner of the world, and donate to worthy causes. C.A.K.S. Laces honor Charles Austin Kreinik who took his own life at age 28. In the end, Charles was affected by physical pain, alcoholism and depression, but in brighter days he was a gifted person of quirky humor and generous spirit. You could even spot that in his clothes: he loved wearing unique, patterned socks and bow ties. So lace up your shoes, put one foot in front of the other, and keep on going—or dancing! Your purchase helps others, supports grieving families, and makes the world a little brighter. These cool laces are made with Kreinik glow-in-the-dark fibers and look awesome under a blacklight.